At RMS, we know Keeping Your Home Real Estate Ready™ will play an important part in your real estate sale or purchase to help you save thousands of dollars. We have the technology, equipment, education, licenses and training in real estate & residential construction allowing us to partner with our clients to provide the best possible return on their investment. We have taken this initiative because we listened and talked to our customers (over 12000 satisfied customers) and you told us that such service ranked high on your priority list to Keep Your Home Real Estate Ready™. 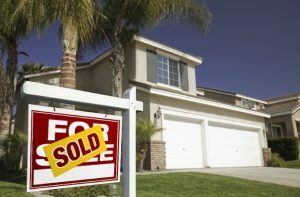 RMS is so confident that our “winning formula” will sell your home faster and for more money we will provided a free home warranty on 120 point inspection while selling or purchasing a new home up to 1 year when participation in our “winning formula” Keeping Your Home Real Estate Ready™;. New home purchase RMS will provide a proven 120 point Home Inspection report detailing helpful things to ensure a premium home.RMS will provide weekly visits on a new construction home to ensure a premium home. RMS will be a point of contact and inspector during new construction to ensure a premium home. Purchasing your home RMS (Michael Edwards) is a licensed referral Real Estate Agent and will need to be listed as your realtor at the time of going to contract in order to be part of our “winning formula”. RMS is so confident with our “winning formula” we will provide a 1 year warranty after the home builders warranty expires and 1 year warranty on a used home. We have a complete home maintenance service that will keep your home in exceptional shape. We provide monthly, quarterly, semi and annual inspections. Services provided under our maintenance programs include: filter changes, smoke alarms, scheduled gutter cleaning, lanai and home exterior pressure cleaning, window caulking, and more. If it needs to be maintained and you don’t want to worry, give us a call.